Absolutely! 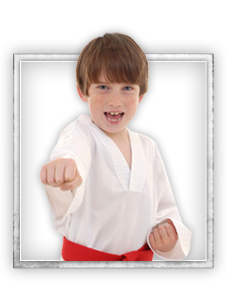 In fact, kids usually have to drag their parents to martial arts class - something parents are always shocked to see. We have our serious moments here where kids work and learn... but we have just as many moments where they goof off and have a blast! Yes! A lot of kids perform their martial arts moves in talent shows and other things. Their friends are always blown away. The positive feedback children receive helps build their self-esteem and confidence. Kids feel good knowing they can do something that's "cool and special. Martial arts are for boys and girls. Our classes have a good mix of both, too. So if you're worried about your girl being alone in a group of boys, wipe that worry from your mind! 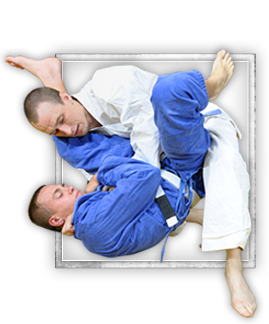 You can start GJJ (Gracie Jiu Jitsu) no matter what kind of shape you're currently in. Because it's a great workout, you'll get in awesome shape in no time. Just talk to your doctor, and see what he/she says. If you get the green light, come on in and get started. If there are conditions around your training - just let us know what your doctors says you can / can't do. We just want to make sure you're safe and sound. Not at all. While the classes are mostly filled with men, there are women who participate and get a lot out of our GJJ classes, too. Everyone's focus is on learning GJJ, supporting one another, and having a great time. Gender isn't an issue. If you live in the following towns of New Rochelle, Yonkers, NYC, Throgs Neck, or Larchmont then you are close enough to come train with us!